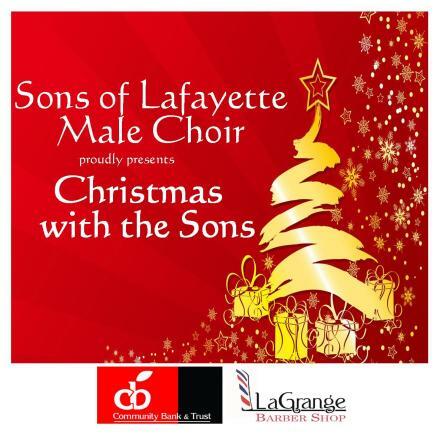 The Sons of Lafayette invite you to enjoy a Christmas themed concert to begin your Christmas season spirit flowing. There are many familiar pieces, some with a new musical arrangement. There also are new pieces that get you toe tapping and excited to begin the Christmas season. We are excited about our new Artistic Director, Mr. Darian Krimm and his leadership of the choir. You will definately be entertained and uplifted. Bring your family, next door neighbor, friends and work associates to enjoy this delightful concert.